The annual Waters & Stanton Christmas Open Day will be held on Saturday 18th December at our Hockley & Glenrothes shops from 9am until 5.30pm. Come and visit either of our shops and enjoy free food & drink and some great deals. In our usual Christmas spirit we will have some special offers and great prices for visitors on the day. 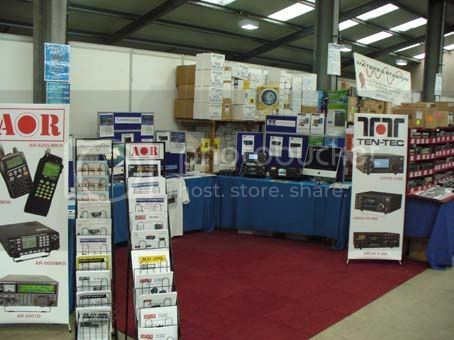 The event is sponsored by Yaesu UK Ltd and Andre Ravary will be joining us at our Hockley store. Also in attendance at our Hockley branch will be Clive Ward & Murray Niman from the Chelmsford Amateur Radio Society, bringing you information about ham training & repeater groups. So come along, join in the fun & grab yourself a bargain Christmas present! 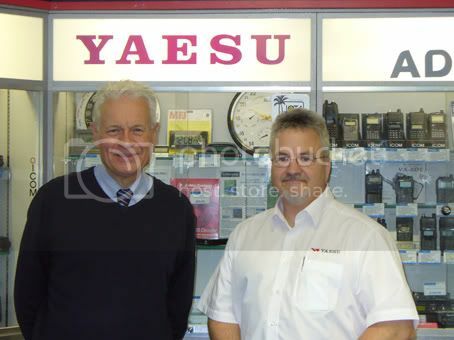 On Thursday 14th October the new Ham Radio Sales representative for Yaesu UK Ltd visited us. He is Canadian national Andre Ravary, VE1OV, now M0RAV. He is pictured with Jeff Stanton after discussions about the UK radio market and possible new models from the Yaesu factory. He was most impressed with our set up in Hockley. 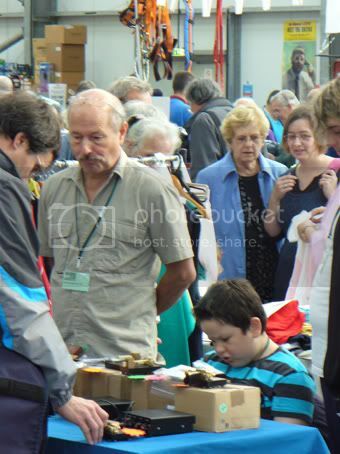 He offered to support us at our annual Christmas Sale Day on Saturday 18th December. Unfortunately Jo-Jo was unable to attend the ceremony due to swimming commitments so her brother collected the award on her behalf. 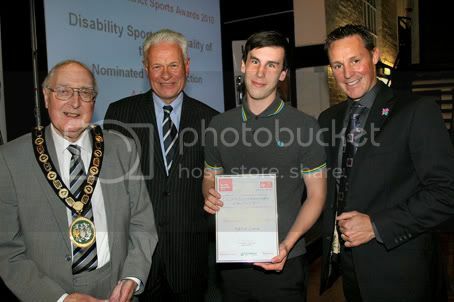 He is pictured below collecting the award from Cllr Derrick Stansby (Chairman of Rochford District Council), Jeff Stanton and Danny Crates. 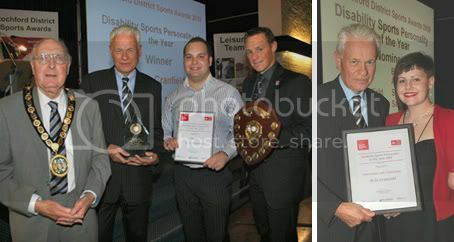 On the far right is a picture of Jeff Stanton with Jo-Jo Cranfield at last year’s awards. Waters & Stanton would also like to congratulate Adam Lione & Joseph Shean who were nominated with distinction for the award. Adam Lione is a footballer who plays for the Rochford District Football Academy & Leigh Ramblers U16s and had a successful trial at Lilleshall NSC for the England Visually Impaired Under18s squad. 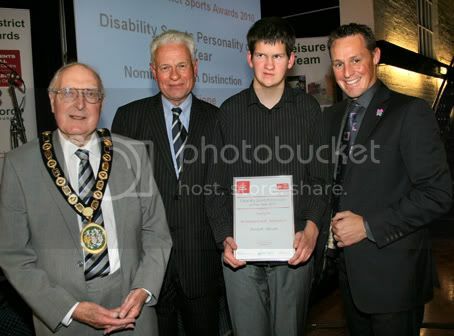 Joseph Shean is a Triathlete who competes for the East Essex Triathlon Club and earlier this year won the Rayleigh Disabled Junior Sports Personality of the Year. 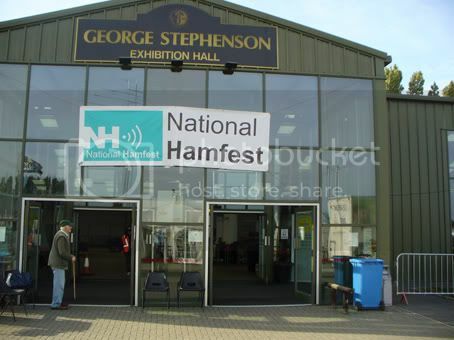 We attended the 2nd National Hamfest at the East of England Showground in Newark, Notts on 1st & 2nd October. The European representative for Flex-Radio, Klaus Lohmann, visited the Show with his wife. 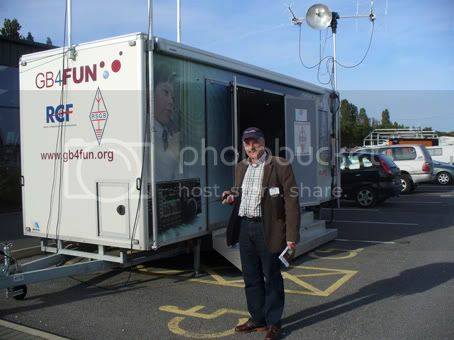 He is pictured testing a new Quasheng TG-UV2 dual-band transceiver outside the Hall before visiting the RSGB GB4FUN display vehicle (pic 4) Next year Klaus will bring the Flex-Radio display stand to the 2012 event. Jeff Stanton said that he and his staff were very pleased to see so many regular customers had made the journey to Newark despite the recession. 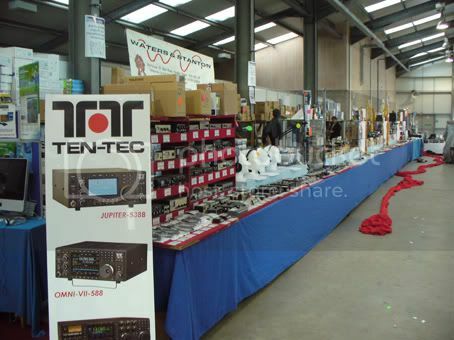 And support from Icom, Kenwood, Yaesu and the RSGB was vital for the success of the event. You are currently browsing the Waters & Stanton Blog blog archives for October, 2010.